You are not an idiot. I know this. You know this. But sometimes, trying to find your way around the finer areas of a website sure can make you feel like one, can’t it? Even with my own site, I try to make it do certain things, often accompanied by the thought, This is my blasted website! Why does it have to be so hard? I’ve had a couple of inquiries from customers asking how they can leave reviews on products. When I tested out my site, that’s the one thing I never thought about doing. (After all, I think all of my products are the most amazing thing ever!) So, I went through the steps of leaving a review so I could share them with you. Sign in to your account. This is in the upper right corner of your screen. Once you login, you’ll be redirected to your personal account page. Sign in to your account. This is in the upper right corner. 2. Find the product(s) on the site you wish to review. 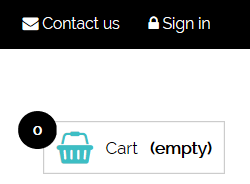 Unfortunately, the “my account” section doesn’t list individual items purchased, just quantity spent, order date, etc. I chose Christmas Spice Body Creme. The listing goes Product Name -> Quantity in Stock -> Price -> Add to cart, followed by the Paypal button and social share buttons. Under that is the “Write a Review” box. “Write a Review” box is right under the Paypal button and the social share icons. 3. Submit your review. A notification will pop up on my end to let me know I have a review I need to moderate, and once I do that, your review will show up on the website. This is what it looks like on my end. I absolutely promise you… I will not delete negative product reviews. (If you’re blasting my company or me, I will not approve those and strongly encourage you to contact me via my website, email, phone, Facebook messenger, snail mail, or carrier pigeon so we can discuss any problems you may have.) Fragrance love is highly subjective, and how soaps treat different customers’ skin has a great deal of variance. What doesn’t work for one person might be exactly what another customer is looking for. Real life example here… I had a supplier who never approved negative reviews. Let’s say, for example, I’d bought a duplicated scent from that company. It smelled marvelous, dead-on dupe for the original, but it was awful in cold-processed soap. The scent itself morphed in ugly ways (means it stank), it turned my soap the color of spinach after it comes out of a baby, and it was just a disappointment for what I wanted to use it for. If I left that as a review, the site’s owner would never have approved it. However, that’s a warning to others who might want to use it in soap, while those who are shopping for it to use in other applications need to know how true it smells and that they’ll likely be pleased with it. With my own site, I’ll take the same “it may help someone else” approach. After all, that’s the reason I ask customers to leave reviews, right? So your 2-star, “Dried out my skin” soap may be just what that customer with excessively oily skin is looking for.